The competition for Black Friday and Cyber Monday sales is stiff. Online sellers — from the smallest garaged-based startup right up through Amazon — are sending email messages, buying pay-per-click ads, and posting banners. But there are still some things your business can do to stand out or at least keep up. If the last few years are an indication, something like 150 million Americans will shop on Black Friday or Cyber Monday. Collectively, they will spend billions of dollars on presents for friends, family members, and even themselves. To promote your ecommerce business, start with tried and true online fundamentals, such as pay-per-click ads, good search engine optimization, and email. Black Friday and Cyber Monday are two of the most important days for retail sales in the United States. Your ecommerce business will likely want to focus on PPC ads and email as your primary marketing vehicles, but there still may be some tactics you haven’t thought of. If your business has these marketing fundamentals well in hand, consider doing something a little outside of the ecommerce marketing box. 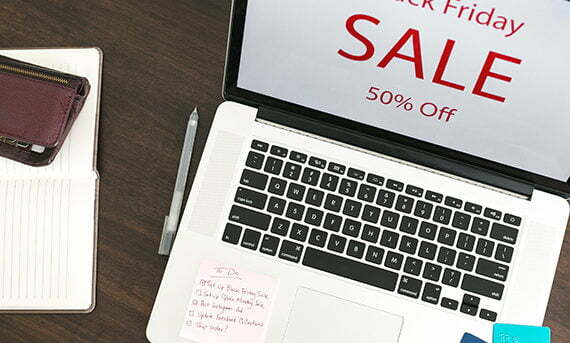 What follows are five Black Friday and Cyber Monday ecommerce marketing tactics you may not have thought of. If your retail business is not already selling in the Amazon marketplace, you need to start. Spend an afternoon listing your top 20 products so they will be up and ready for Thanksgiving weekend sales. If you need more convincing, in September 2016, Recode reported that 54 percent of some 2,000 respondents to a shopping behavior survey started product searches on Amazon rather than on search engines like Google. If this is true of online shoppers generally, Amazon may be more important than Google and Bing combined for making ecommerce sales. There are certainly challenges to finding success selling in the Amazon marketplace. Your business will have to compete on price and Amazon charges fees, so margins can be relatively thin. But the marketplace also represents a significant opportunity, especially around Black Friday and Cyber Monday. In radio broadcasting, a live read is when a disc jockey (radio personality) reads an advertiser’s message live on the air. Live reads can be relatively inexpensive compared to some broadcast media. I recently purchased five days worth of live reads, totaling 180 spots on a half dozen radio stations in Boise, Idaho, a mid-sized market. The total campaign cost was about $4,000, or roughly $23 per spot. Choose a market with an abundance of potential customers that is within one shipping zone of your ecommerce fulfillment warehouse. Focusing ecommerce promotions on a specific geographic area may seem counterintuitive to some online retailers since one of the benefits of ecommerce is that you can sell to customers just about anywhere. Nonetheless, when you market locally, you are selling to customers you can easily serve. Moreover, it will be less expensive to send orders to destinations near your warehouse. So you may be able to save money on shipping. This could be helpful if your business plans to offer free shipping as a Black Friday or Cyber Monday incentive. Shipments to nearby customers will presumably arrive sooner than orders sent across the country. Your local holiday customers will get packages in a day or two, which they will interpret as good service. To purchase your live reads, contact local radio stations featuring formats that your target customers are likely to listen to. Direct mail marketing is one of the most potent promotional tactics retailers can use. PetFlow, as an example, relied heavily on shared direct mail marketing to attract new customers before Phillips Pet Food & Supplies purchased it. Similarly, prominent ecommerce businesses such as Hayneedle, Wayfair, and Blue Apron use direct mail marketing to reach new customers. As with the radio live reads, focus your company’s direct mail efforts on markets you can easily serve from your fulfillment warehouse. Newspaper readership is in a deep decline, with just 17 percent of Americans aged 25 – 34 reading a paper daily, according to a March 2016 Pew Research Center report. While this is very low relative to, say, a decade or two ago, it still represents many potential shoppers. Something like 38 million Americans are in that age group (25 – 34). Thus 17 percent is roughly 6.5 million people. 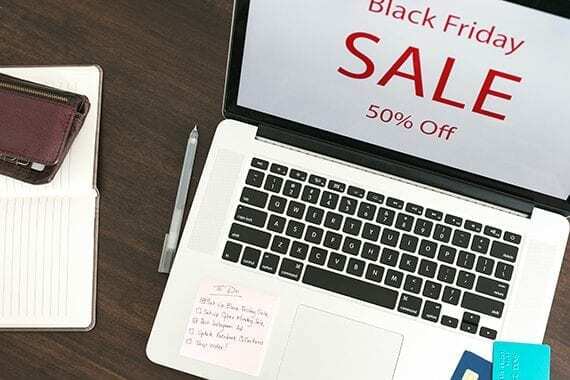 And if there are times when your potential customers are likely to pick up a paper, it is around Black Friday, when they are in search of deals. Don’t disappoint. Consider placing run-of-press ads leading up to Black Friday. Your ad might offer a way to avoid the Black Friday lines or explain how a $99 television might seem like a great Christmas present until you have to ship it to, say, an aunt in Minnesota. With your online store, customers can shop from home and (if you offer it) get free shipping to Minnesota, too. Reddit is the social media network your ecommerce business is probably not using. But perhaps it should be. According to Statista, Reddit had more than 1.5 billion visits in September 2017. This certainly puts it way behind Facebook, but still represents a lot of use. Reddit may be a good way to reach Black Friday and Cyber Monday deal seekers. In fact, there are several Subreddits devoted shopping. You might try these three to start.